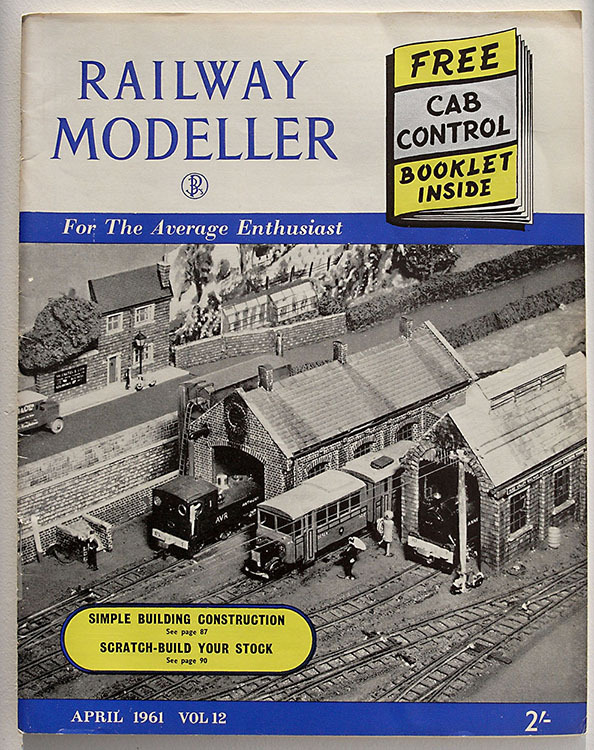 This copy of Railway Modeler, published in April 1961 and priced at 2 Shillings was given to me by John Shawe. I suspect this issue is something of a classic. 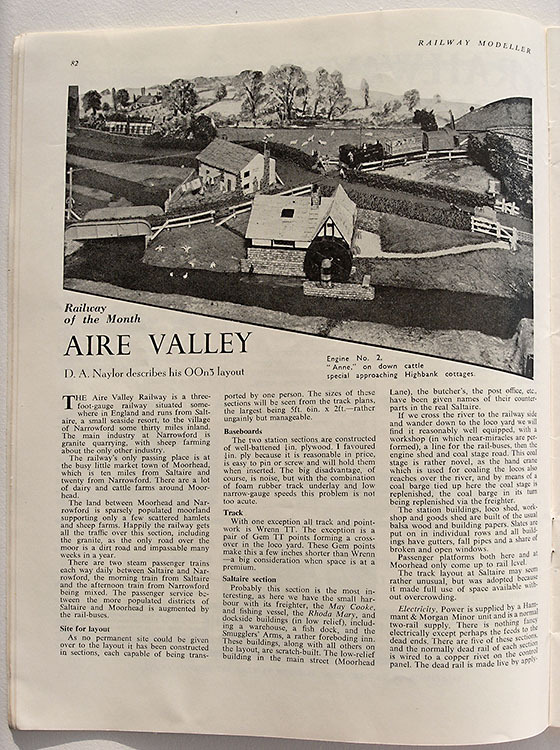 It features an article on the Aire Valley Railway built by D.A. Naylor in 00n3 (that’s 00 scale on 12mm gauge track). This was one of the famous pioneering narrow gauge layouts. It’s great to read about the layout and to hear Derek extolling the joys of scratch building narrow gauge locos from tinplate, card and empty lip stick containers. It’s not surprising he inspired many modellers to try narrow gauge. Elsewhere in the magazine there are articles on making buildings from ¼ inch wood, building stock from card and plans for Great Eastern Railway wagons. There’s more text compared to today’s magazines, and the images are in black and white, but many of the authors urge readers to try building something from scratch. I guess some things haven’t changed! Definitely one of the great inspirations, along with John Ahern and P D Hancock.